Customers rule the world and the companies thriving are the ones that are embracing this fact. These companies are constantly bending and experimenting with the emerging rules of customer experience. Let’s take a look at some of the key ways how quick pivoting companies are re-focusing their digital efforts to create a better experience. When brands used to think about their digital face, and the content in it, the main goal was often brand building and direct response marketing. Get customers on the page via a spot-on campaign and do everything you can to get them to click that ‘call-to-action’ button. It’s not as if this type of method has disappeared for experience-driven companies (long-live inbound marketing and the ever-evolving puzzle of the Google search algorithms), but these companies know that digital is much more than distributing marketing campaigns. It’s about putting your services, business, and entire engagement ecosystem online. There simply is no “online” vs “offline” anymore in business. Digital giants Amazon and Alibaba are experimenting with brick-and-mortar stores, and “Wal-Mart Stores” has changed its name to just “Walmart”. Top players understand that competing in today’s crowded market with unlimited options means a seamless blend of every shopping option your customer could want - whether it's online, physical store, mobile, voice assistant, or a customer service call. The challenge lies in making that transition between all those touchpoints seamless, as 32% of customers would walk away from a brand they love after a single bad experience. Digital is everywhere and you can’t afford to have a messy ecosystem. Acing this blended customer experience requires a new way of looking at that ecosystem. You don’t have “social”, “web” or “display” content anymore, you just have content (and data) and it needs to adapt at a moments notice. With 86% of consumers expecting the look and feel of the experience to be the same across all devices and channels, the adaptability of your content and data is paramount. People like choice and new ways of interaction between customer and company are going to keep appearing and evolving. In the US, 58% of customers use their smartphone for shopping, and 10% are already using voice to shop. 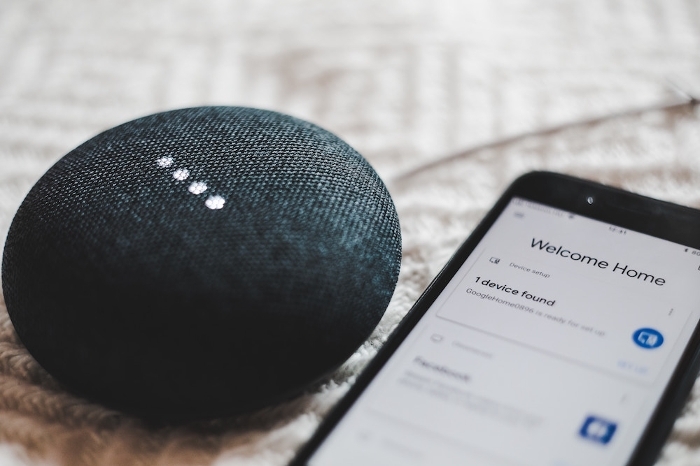 Mix in the expectation that the market for Smart Home products is expected to grow by 28% annually until 2022, and it’s clear companies need the ability to cater to more modern ways of shopping and service if they want to reach customers. For a connected experience, it doesn’t make sense to have a seperate, siloed tool for each type of interaction. This is why API-driven platforms, that can connect both new touchpoints and critical legacy systems with microservice wrappers, are rising in popularity as the foundation of this experience-based model. Digital business requires integrating new innovative tools with classic key revenue drivers - ticketing, e-commerce, events, in-store. You can’t exactly rebuild all your back-end systems to take a leap into the future, and companies are turning to API-based content and data platforms, like DXPs, to orchestrate an experience that gets the most out of every tech investment. This switch from compartmentalized structure to more enabling digital platforms is laying the foundation for digital to expand into entire new business models. 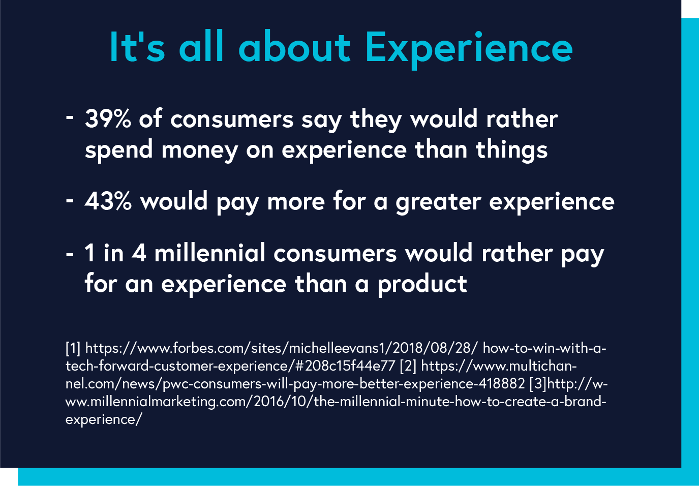 With 39% of consumers saying they would rather spend money on experience than things, how you present your products and services is no longer just the showcase - the experience becomes a product in itself. The football club, FC Bayern Munich, is pioneering new digital fan experiences to tap into a world-wide fan base that opens their market well beyond people able to attend a live match. H&M is experimenting with voice activated mirrors offering styling tips, L’Occitane en Provence is using AR and stationary bikes to let customers in NYC take a bike trip around Provence, and the Museum of Ice Cream is basically one giant experience, all with the goal to sell delicious treats - along with providing some really great Instagram backdrops - and has already surpassed 1 million visitors. People value an interesting experience. These experiences may begin as a way to enhance the customer experience but, as they begin to be more sharply executed, these digital services can spin off into new revenue streams. For example, 83% of customers want their institution to assist them with financial goals and the banks already experimenting with voice FAQs and self-service portals are on their way to offering an entirely new, incredibly valuable, service. Looking at digital as more than a way to get people through your funnel faster, but also as a way to open up whole new funnels is a game changer for companies navigating the new world of customer interaction. To build an experience worthy enough to sit at the heart of your business and to open up new lines of revenue, those digital experiences have to go above consumer expectations. Very high expectations. Let’s look back at that stat about 83% of consumers wanting assistance from their financial institutions. These respondents don’t just want budgeting tools, they want financial recommendations and advice proactively and in real time. This simply has to come from AI. Humans are amazing but we lack the ability to shift through the mass amounts of customer data to provide real time assistance at the scale needed. Two billion messages are sent by 60 million businesses each month on Facebook Messenger - and that’s just one way customers want to interact. 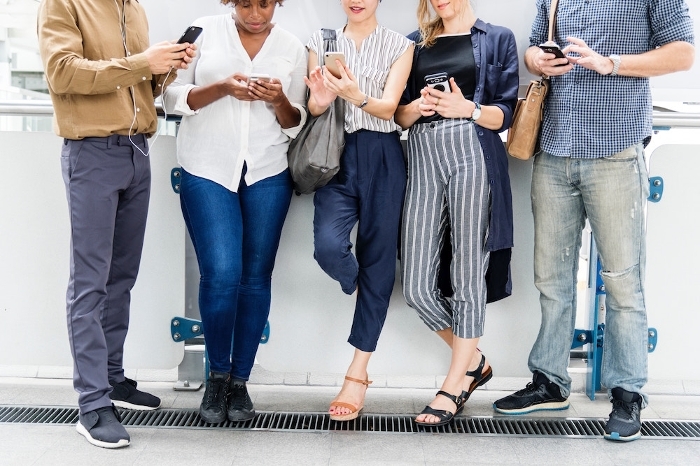 Whether people are interacting via your website, app, or voice the customer experience hinges on connected data. If your voice chat can’t access customer data then it has to ask the the same canned questions over and over. Hooking that chat up to customer data, and letting it learn, means that AI can take care of the mass repetitive tasks and we humans can focus on the more strategic jobs. The reward here? Trust. If you use data to provide actual convenience then you can get more of it. 63% of people said they would share more information (location, age, lifestyle, preferences, purchase history) with a company that offers a great experience. As the enterprise starts playing around with more futuristic technologies that level of trust becomes paramount. Recently Kohler announced voice-command technology for the bathroom, that can operate the faucet, adjust lighting, fill a bath to the right temperature and more, which requires a in-depth knowledge of routine and preference. But consumers are willing to open that window if it provides convenience, with 49% of restaurant goers and 62% of hotel guests approving the use of facial recognition technology for simpler payment methods. Over 14 million Sephora customers have had their face analyzed by AI to provide the right foundation color match - and opened up a ton of personalized marketing options in the process. Digital tools have long been about saving time. They organize content in a reusable way, get workflow in order, and build in an agile manner. These are all still extremely important, but efficiency should pretty much be built into every product by now. Modern tools, especially customer experience focused ones, should now have API & microservices that turn what used to be 1-3 year implementation projects into 1-3 month sprints and, as AI is integrated more deeply into tools, the experience can perform and scale at an unprecedented rate. Experienced-based companies are now hunting down tools that help them measure and improve their effectiveness. This takes a bit of a paradigm shift in how teams think about engagement - and a bit of creativity. Measurements like increased retention, revenue per customer, engagement minutes per purchase, can help you determine if your efforts aren’t just saving cost, but increasing value. I’ve even heard of measuring “rage clicks”, or clicking multiple times in a row in frustration, to find where the weak links in the customer experience chain are. Tracking these engagement metrics - by channel, product line, persona, etc. - and not just revenue stats let’s you identify where any pain points are long before they impact sales. By 2020, customer experience is expected to become the most important way for brands to differentiate. 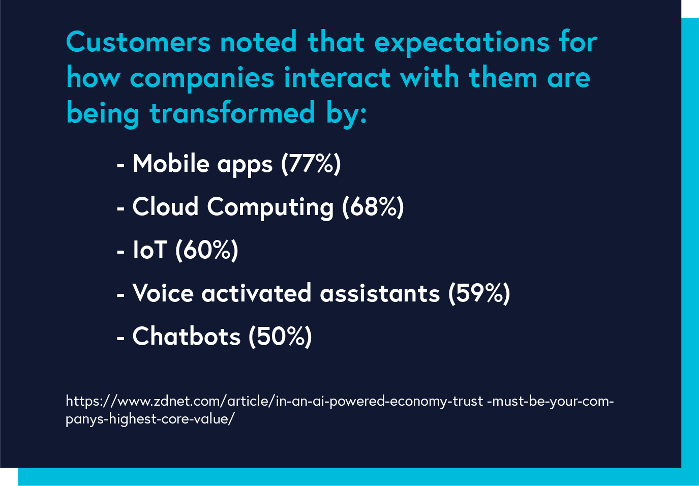 As a customer, our “experience expectations” eyes may be a bit bigger than our stomachs right now - 20% of the US already uses a smart speaker but asking the weather (57%) is a more popular use than ordering products (11%). Our eyes are quickly catching up though. This screams opportunity for companies. 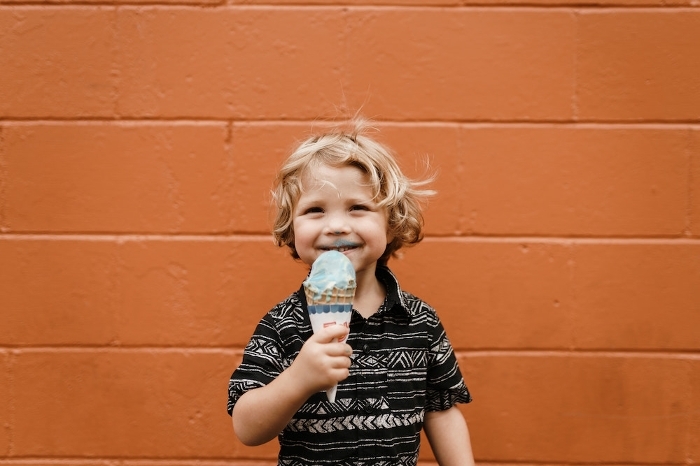 The brands that give us a taste of the “futuristic” experience, whether that be through personalized services, legitimately helpful voice interaction, digital blended into physical stores, or using the “next big thing”, are not going to be forgotten. To build these skyscraper customer experiences, ones that stand out above the crowd and drive loyalty, you need a solid, flexible foundation. A Digital Experience Platform with native AI and a microservice architecture that lets you connect and measure data across tools and touchpoints is a great cornerstone for an experience-driven strategy.